Location Granada Hills, California Phone (818) 900-5480 E-mail AnnndActionPhoto@gmail.com Hours We're Open! Your retainer has been received and the date of your event has been added to our calendar. Please keep in mind: if you have changes or wish to cancel, you will need to notify us within 10 calendar days of your event. Thank you. 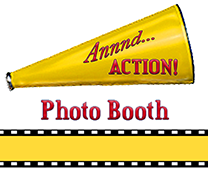 Email us at Annndactionphoto@gmail.com or call us (818) 900-5480. Return to the Annnd… Action! Photo Booth home page. California Wildfires 2018 – Please Give! Looking for photos from an event you recently attended? Visit our Smug Mug Gallery.